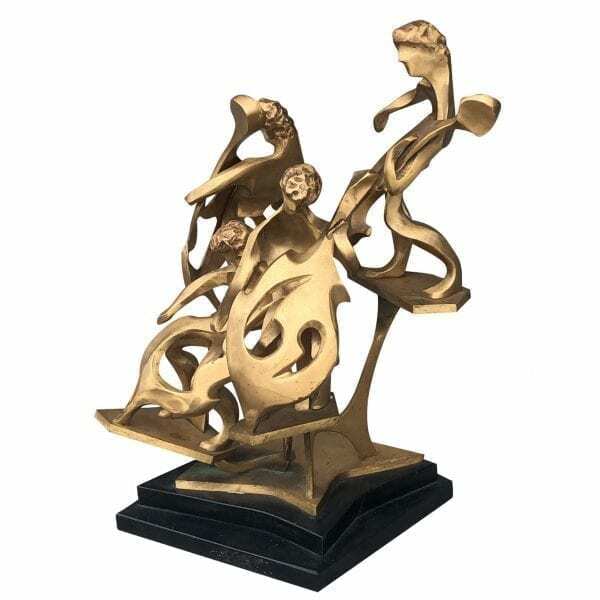 A rare Mid-Century modern gold gilded bronze sculpture made out of a iron base and brass figures by Charles Arcier. Wear consistent with age and use. Circa 1940- 1970, United States. 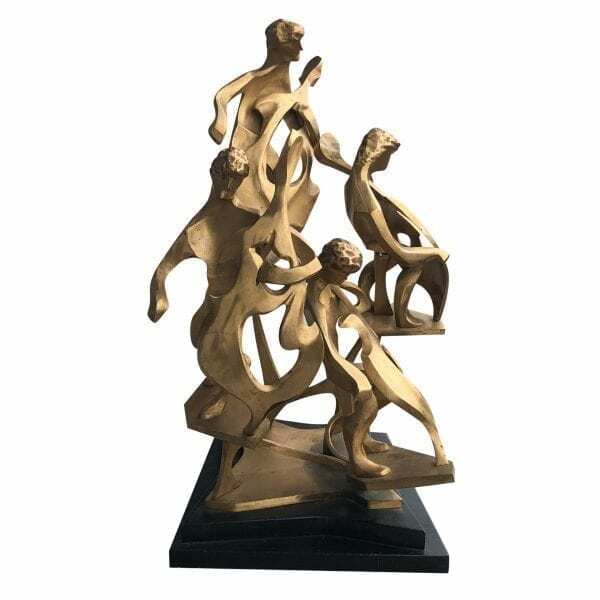 Charles Arcier was an American sculptor and designer born 1914 in the United States and passed away in 1995. Arcier’s personal life and professional training remain lost in history. 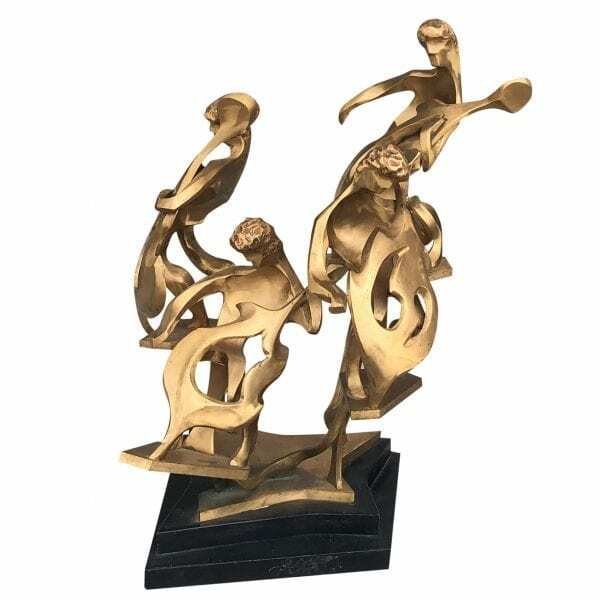 Categories: Décor, Period Furniture. 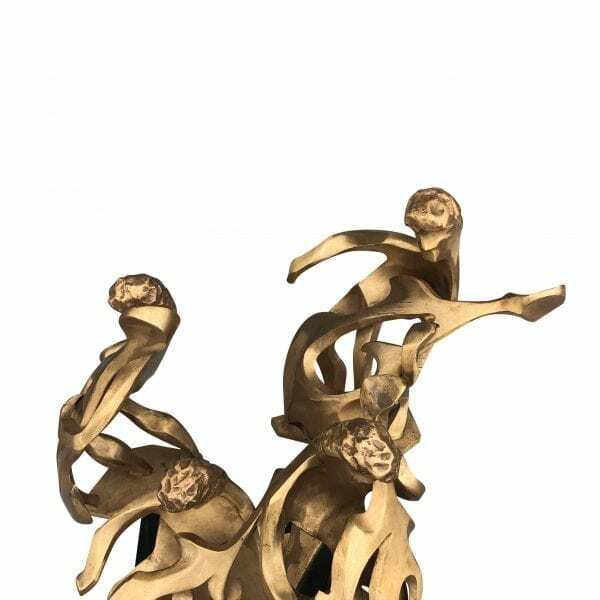 Tags: ART, BRASS SCULPTURE, Charles Arcier, SCULPTURE. 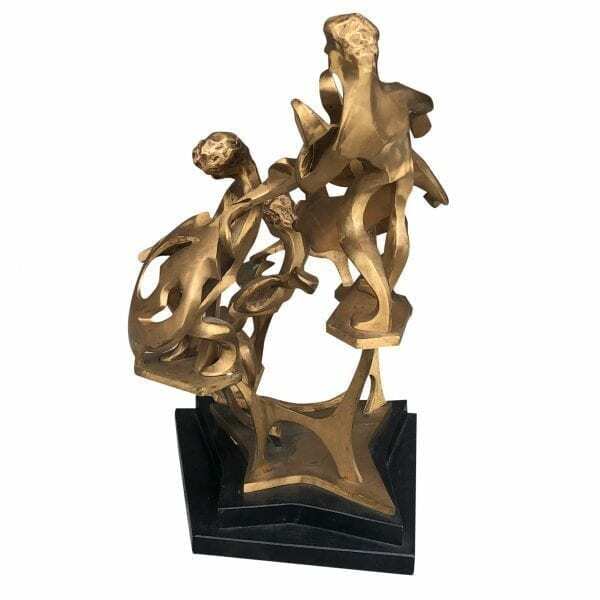 Charles Arcier was an American sculptor and designer born 1914 in the United States and passed away in 1995. Arcier's personal life and professional training remain lost in history.